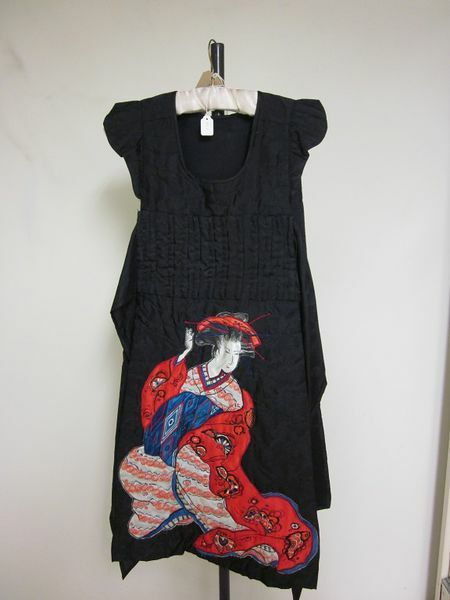 Woman's black silk tabard, fully lined, and with shaped front and back panels. 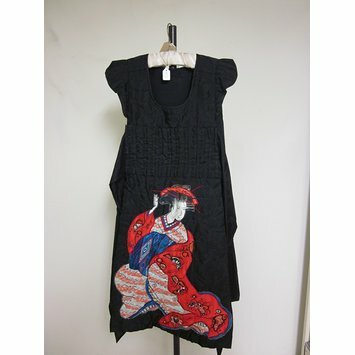 Large coloured silk applique of a Japanese woman in traditional dress is on the front panel, possibly of a geisha. Ties at the sides.